Looking for historical novels books? Biblio.co.nz hosts hundreds of of the finest online book stores and booksellers, including specialists in historical novels. Use the list below to locate a specific specialist bookseller or book store near you. Or, use the form below to search the inventory of all booksellers who specialize in historical novels. Agawa Books was established in 1999. Our inventory is varied and eclectic, but the general emphasis is on British imports. If there are titles you cannot find in our listings, then please e-mail us the details ([email protected]), and we will put out a search for you. We buy and sell primarily used first edition mystery and suspense novels. Book searches gladly. Family owned bookstore selling a wide variety of used books, CDs, Audiobooks, DVDs and other miscellaneous items such as handcrafted gift items. We also carry a limited inventory of new books. 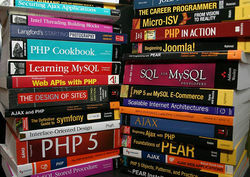 Special book orders for customers is a common service we provide. 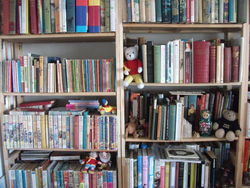 Boris Books was founded in 1995 to sell collectable, rare and general secondhand books. We are now established in Cornwall, in a beautiful location overlooking St Austell Bay. Kalamos Books specializes in Books about Greece (Ancient,Byzantine and particularly Modern Greece) and also books about the Balkans & Ottoman Turkey. As well there is a wide selection of Fiction including stories set in Greece, or by Greek authors, as well as historical novels. We can special order books from Greece and handle library purchase orders for books in Greek. In addition we have interesting travel books about other countries, and have some Canadiana and popular fiction.Ask about antique maps and prints and vintage postcards of Greece. We are internet-based booksellers, so our stock is not set-up for browsing. However, visitors are welcome if an appointment is made first. We specialise in fiction. We sell common, everyday books, including paperbacks, hardcovers, and some select book club and ex-library editions, as well as collectible First Editions. We carry a wide range of authors, subjects and genres, concentrating mostly in mysteries, historical fiction and romance, general fiction, and American and British history. As a member of the Independent Online Booksellers Association (IOBA), we support and endeavor to comply with the Book Buyers Bill of Rights. The Dauntless Bookstore sells a wide variety of used, new, rare, and collectable books. My philosophy in book selling is that meeting your expecations is more important than any single book transaction. My pledge is to ship books out immediately if ordered by 4 pm central standard time US.